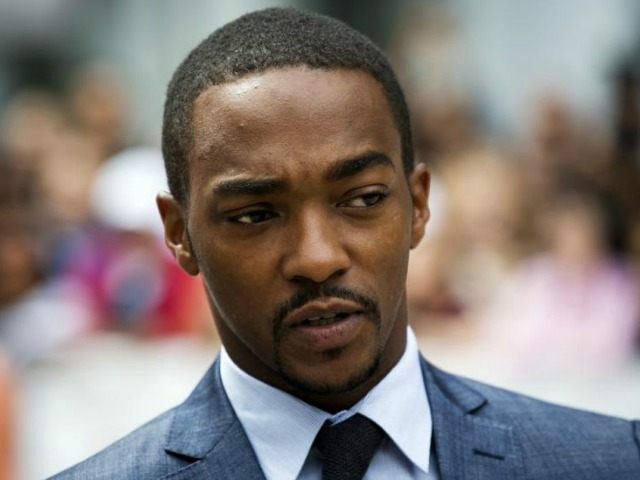 In the face of a racially charged social media backlash, Captain America actor Anthony Mackie has walked back his endorsement of Republican presidential frontrunner Donald Trump. The comments were made during a promotional interview with BET for Mackie’s new film Our Brand Is Crisis. BET’s Moriba Cummings published the Mackie interview at 10:50am ET Monday, commenting, “Well, alright then,” presumably a swipe at the actor’s support of Trump. By the time the interview had made its rounds online and on social media, Anthony Mackie was trending on Twitter, and was the worst person in the world in the eyes of a political Left. “Anthony Mackie always looks like he’d love to get called a ni—er in a Quentin Tarantino movie,” wrote Ira Madison, staff editor for New York Magazine. Others online referred to the actor as “retarded,” “problematic,” a “house ni—er” and a slew of other racial epithets, while numerous media outlets went after the star by attempting to discredit Mr. Trump’s personal accomplishments. “And you know, there’s nothing wrong with that. But what’s wrong is that apparently Mackie had no clue what he was talking about in the interview,” wrote Callahan. In the wake of the controversy Monday, a scorned Anthony Mackie folded.